Today’s essential question: How can I integrate a class blog into my instruction? There are two ways to add information to your blog – posts and pages. Pages are accessible through the navigation bar, which is either at the top of your blog or on a sidebar. You can organize pages and streamline the appearance of your blog by stacking multiple related pages under one heading. For example, under my “Student Websites” category, I have the current school year’s student websites, and all of my past years’ student websites listed below it. I follow the same organization system for my “Project Gallery” pages. Posts are accessible on the home page, but only the most recent 1-3 posts will be immediately visible. Here are some sample blog posts for high school. Notice how it is written for high school students, but will work for the purpose of parent communication or to give an administrator a quick overview of the day’s lesson. Here is are some sample blog posts for elementary school, courtesy of Cassie Stephens. What are some ways she keeps families and administrators up to date on what is happening in her classroom? When in doubt, create a post rather than a page. You can always link directly to the post if you want to reference it in the future. Click here to set up a WordPress account. (This will be your Foundations 1 class blog.) You may choose any free template you like, but keep in mind that you will need to post both text and images, so you should pick a template that supports both of these requirements well. Use your school Gmail address (890…. @rcsd121.org) – you will have to verify your email in order to publish blog posts. Log into your school email account, open the email from WordPress, and click on the link to verify your email address. Note: Once you set up your WordPress account, you will have the ability to create multiple blogs under that account. This is handy if you teach several different courses. Note: You can also use the “Add Media” button to upload PDFs! It will display the name of the PDF as a link, and when students click on the link, it will load the PDF. This is a great way to share handouts, permission slips, flyers for enrichment programs, etc. 1. Welcome students to the course and introduce the curriculum, rituals, and routines. 2. Create a sample daily blog post. Include an essential question, learning objectives, and any relevant instructional pieces. Add at least one interesting link. Click on the link icon at the top of the screen. Copy and paste the website address in the URL section, and write what you would like the link to appear as (ex. biography of Kehinde Wiley) in the “link text” section. Check the box to “Open link in new tab” so students don’t accidentally lose your blog. Click “publish” at the bottom of the screen to publish your post. Today’s essential question: How can I teach animation using my current classroom setup? Animation is surprisingly easy to teach, and is always one of my students’ favorite units. Today’s PD will focus on low-tech animation methods that utilize equipment available in most district art rooms. These methods will work for grades 5-12. A thaumatropeis an optical toy that was popular in the 19th century. A disk with a picture on each side is attached to two pieces of string. When the strings are twirled quickly between the fingers the two pictures appear to blend into one due to the persistence of vision. Thaumatropes are often seen as important antecedents of motion pictures and in particular of animation. Play with the sample thaumatrope, then create your own. Draw your thaumatrope on card stock, or glue your thaumatrope images to opposite sides of a piece of card stock. Preview flipping your thaumatrope before gluing anything to make sure nothing appears upside down when the thaumatrope is in use. Play with the sample flip book, then make your own. Use card stock – heavier weight paper works much better than thinner paper. If you do not have a light board and are using tracing paper, transfer each traced image onto card stock. Only draw on the right half of the card stock – the left half usually is not visible. Draw each frame of your animation on its own page in your flip book. Use a light board or tracing paper to make sure you are lining up each frame in the correct position so your animation does not jump around. Add 4-5 pieces of blank card stock at the end of the flip book. This ensures that you will be able to see the last few frames of your animation. Stop motion is a type of animation that is photographed one frame at time, with physical objects that are moved between frames. When you play back the sequence of images rapidly, it creates the illusion of movement. Today you will create your own 5-second stop motion animation that brings a common, every day object to life. Check out the animated eraser created by one of my eleventh grade students, Andrew. This animated keychain is another example of what I am looking for. The StikBot Studio App is set at a default of 10 frames per second. This means that you will need to take 50 photos to make your 5 second clip. Follow these steps from the iMore website to get started! Download and Install StikBot Studio from the App Store. Tap the Video Camera icon. Tap OK to allow access to the camera. At this point your camera will be enables and ready to start taking photos. Set you camera on a small stable location like a tripod for best results. Set up your initial scene. Tap the red face to take your first shot. Make a small adjustment to your figure. You’ll see a ghost image of your previous position so that you get the motion “just right”. Tap the red face to take your next shot. You’ll notice that the ghost image in now gone awaiting your next stop motion movement. Continue until you have completed your scene. Once you’ve completed your scene, tap the video editor icon. Once you have your desired scene completed, you can add sound effects, dialog, text, and items from your camera roll in the video editor. Tap the new scene you’ve created. You can preview your video by tapping the play arrow. Press the pause button to stop the preview. Once you’ve completed your awesome animation you’re ready to save and share it! Tap YES to save your movie to the camera roll. Tap OK to allow StikBot to access your photos. Tap OK once the export to camera roll is complete. Select the method your wish to share your video. For this workshop, you should upload it to YouTube. Now that you know how to use the StikBot Studio app, you can use it to digitize your hand drawn flip book. Take a photo of each page of the flip book. Use the ghost feature to make sure you are properly lining up each page to create a seamless animation. One of my seniors, McKenzie, used this method to create an animation of her cat. For this portion of today’s workshop, you may choose to either work on your own or with a partner/partners who teach similar grade levels. You will create a lesson plan that is doable with your current classroom setup, and upload the lesson plan and any related resources to the “Animation Made Easy” shared Google Drive folder. Elements and Principles – blog post explaining the principles of animation. Note: This is geared towards an 11th/12th grade audience. Today’s essential question: How can I use the principles of animation to make a realistic animation? Today we will view several examples of the principles of animation. 1) Squash and stretch: Squash and stretch is when an object changes shape based on some sort of impact or movement. For example, when a hard rubber ball is thrown, it may hardly change shape, but when a softer ball is thrown, it may change shape depending on the force of the impact. Squash and stretch is used in animation to give it a more realistic feel. 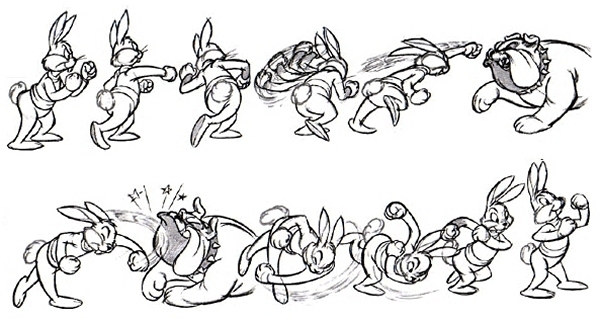 For example, if in an animation, a character is punched in the face, squash and stretch would be used to show the impact in the face, and it would show the impact on the hand too. 2) Anticipation: Anticipation in animation is the same as anticipation in real life. When a character is going to kick a ball, the anticipation would be the character moving his foot back before kicking the ball. Another example is a character preparing to run by putting one foot behind its body, and getting lower to the ground. 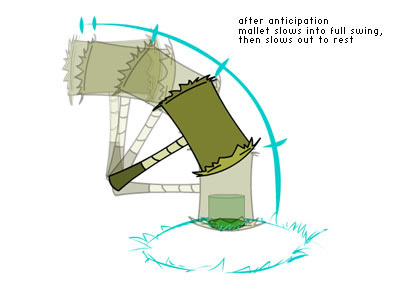 Anticipation is used in animation to give the viewer a better understanding of the action that is about to happen. For example, if there is an animation of baseball game being played, the anticipation for the batter would be to move the bat behind his head ready to swing. The anticipation of the pitcher would be to lift his leg up and get ready to throw the ball. 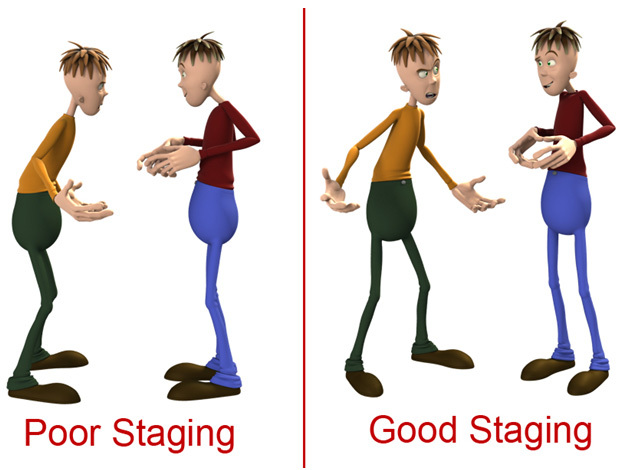 3) Staging: Staging in animation is when you make an idea clear to the audience. The idea could be an action, a personality, an expression or a mood. The key point to staging is to make sure you catch the viewer’s eye and that they are draw towards the idea that is taking place. 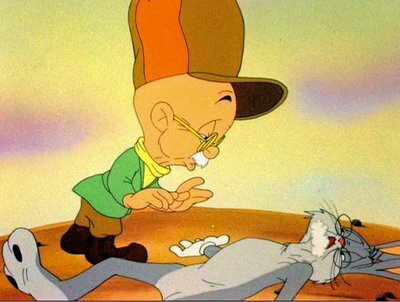 The animator must use different techniques to make sure the viewer is looking at the right place at the right time. This could be something as simple as moving the camera so that it focuses on the key event or idea taking place. 4) Straight ahead action and pose to pose: These are two different approaches to the drawing process. 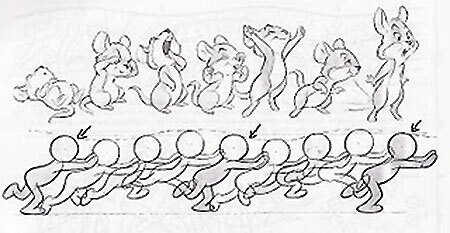 The straight ahead action in hand drawn animation is when the animator starts at the first drawing in the scene and then draws frame after frame until they reach the end of the scene. The pose to pose action is when the animator carefully plans out the animation, and draws a sequence of poses. These are usually the starting pose, some poses in the middle, and the final pose. Then that artist, another artist, or a computer draws the inbetween frames. This is similar to key framing with computer graphics, but it must be changed slightly since the inbetweens may be too unpredictable. 5) Follow through and overlapping action: Follow through is the end part of an action. For example, when throwing a ball, the hand continues to move after the ball is released. Overlapping is just starting the second action before the first action is finished. This keeps the viewer interested because there is no dead time between actions. 6) Slow in and Slow out: The principles of slow in and slow out in animation is to make the animations look more realistic. This is as simple as a ball bouncing. The ball starts out stationary in your hand. Then when you let go it builds up speed until it hits the ground. Then it would come back up slightly slower than when it went down. Then when it reaches its maximum height it stops and repeats the process. Every time the ball hits the floor or its maximum height it loses speed, so the ball would eventually stop bouncing. 7) Arcs: An arc is used for an action or movement. This could be moving your arm. You would have a key frame at the beginning and at the end of the movement. The arc is the action in between the two frames. This is usually used for characters but can also be used on objects. 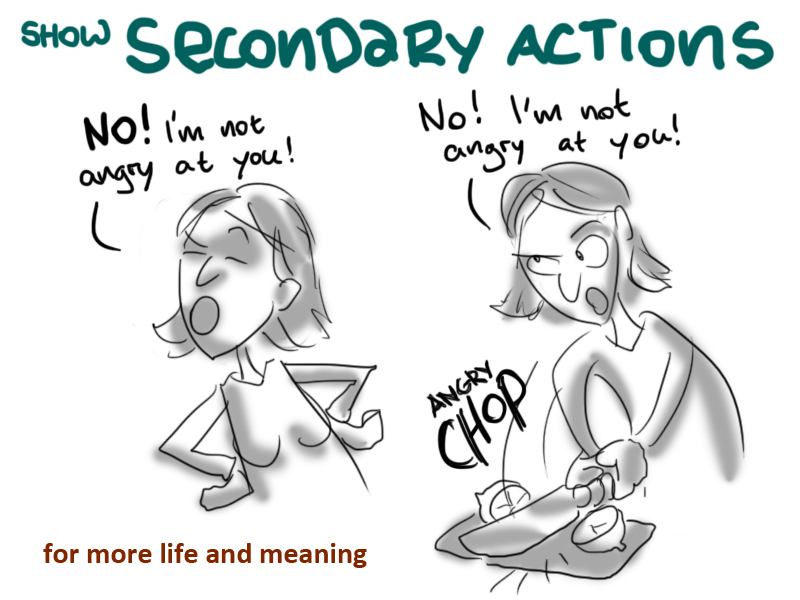 8) Secondary action: A secondary action is an action that comes from another action. Secondary actions are used to heighten interest in a scene, and to add a realistic complexity to the animation. If the secondary action becomes more interesting than the main action, then it is either the wrong choice for secondary action or it is staged wrong. 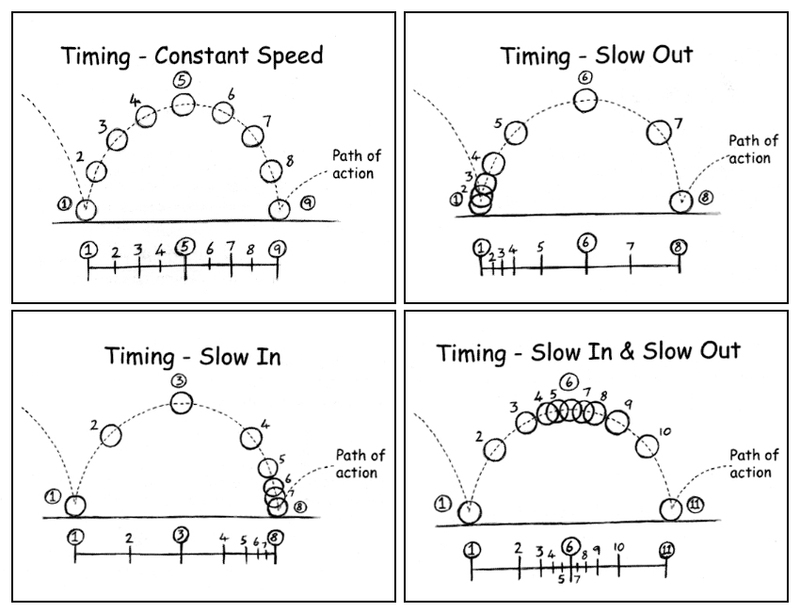 9) Timing: Timing is an important principle because it gives meaning to a movement. Timing can affect how real a scene looks. Timing is used for characters feelings, and facial expressions. For example, if a character is shocked, you should be able to tell he is shocked because he should look shocked in his facial expressions right after the shocking event has occurred. If the characters shock was delayed, and the character didn’t react until 5 or more seconds after the event, the scene would not be realistic, and you could lose the viewer’s interest. 10) Exaggeration: Exaggeration is used in animation to help the audience know for certain how a character is feeling or acting. For example, if a character is angry in a scene, you could make him furious, with his eyebrows down, and gritting his teeth. A scene has components such as action, objects and emotion. Exaggerating all of these can create an uneasy and unrealistic scene, so finding a balance of exaggeration is important. 11) Solid Drawing: Solid Drawing is used to make the main character or object stand out from the rest of the animation. This is so the character does not blend in to the background, and so that the character can easily stand out for the viewer. Solid Drawing is always drawn on its own layer so that it can be animated more easily. 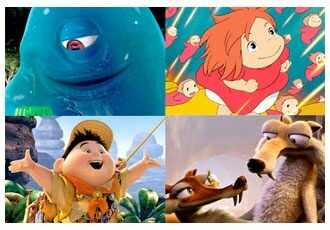 12) Appeal: Appeal in animation is the same as acting in a film. The way the character or object looks, moves and interacts with other characters has a large impact on the viewer and how much interest they have in the animation. Usually, the more realistic the character the more interest the viewer has.